For far too many people, retirement planning is something that seems impossible or that seems an issue to worry about another day. With the pressing expenses you are faced with on a daily basis, setting aside money for retirement may not be at the top of your priority list. Unfortunately, if you do not take action today, you could pay for it tomorrow. What do I need to do to plan for retirement? How does an IRA fit into the retirement planning process? What can a Warren, NJ retirement planning lawyer do for me? Set savings goals. The younger you are when you begin saving, the less you need to put aside each month and each year because compound interest will work in your favor. Use smart savings accounts. You can take advantage of accounts which provide tax breaks and which provide asset protection. Automate your savings. If you establish a program to save automatically, you can usually amass far more money because you won’t have to make a conscious effort to put aside retirement funds each month. Protect your nest egg. Planning to cover nursing home costs and taking steps to protect your retirement savings in case of bankruptcy or creditor claims is very important to ensure your security is not undermined. These are just a few of many different ways in which we help you to build a large nest egg which should hopefully last during your retirement and perhaps even help you to provide a legacy to leave to loved ones. With a traditional IRA, you can invest money tax free up to a certain amount each year, depending upon age, household income, and access to a retirement plan at work. Since you can deduct money invested from your taxes, the government helps you to save for retirement. A Roth IRA, on the other hand, also provides tax breaks but you invest with post-tax money and enjoy tax-free growth. Simple and SEP-IRAs make it possible for the self employed and entrepreneurs to invest larger sums in their retirement accounts and get tax breaks on more of the money they invest. An attorney can help you to determine what type(s) of IRAs are right for you. IRAs also protect assets, in addition to providing tax breaks, because they are usually considered exempt assets in bankruptcy claims. 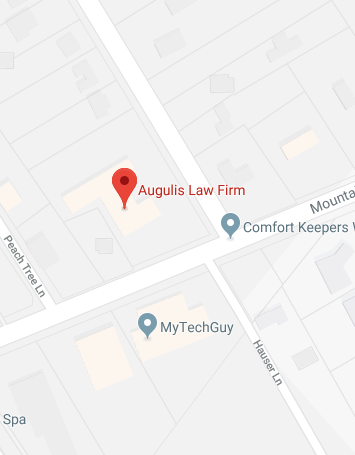 A Warren, New Jersey retirement planning lawyer at Augulis Law Firm can provide you with guidance at every phase of your career and at all stages of your life. We will help you to make the right choices as you work to ensure your golden years are comfortable and your retirement is one without financial worries. Give us a call at (908) 222-8803 or contact us online to learn more about how we can help you.